Siemens, recently acknowledged as the leading microgrid company in North America, was a partner in the Building Energy for a Sustainable Tomorrow (BEST) initiative that informs the design of the Building Energy Automation Lab. The national BEST Center supports publicly-funded 2- and 4-year colleges with programs in heating, ventilation, air conditioning and refrigeration (HVAC/R), controls, building automation, and energy/facilities management. Sponsored by Advanced Technological Education grants from the National Science Foundation, this national collaborative promotes state-of-the-art building technician education and dissemination of the latest research, technology, and industry collaborations in energy efficient buildings. Current partners are Laney College (CA), Georgia Piedmont Technical College, Milwaukee Area Technical College, and Lawrence Berkeley National Laboratory. 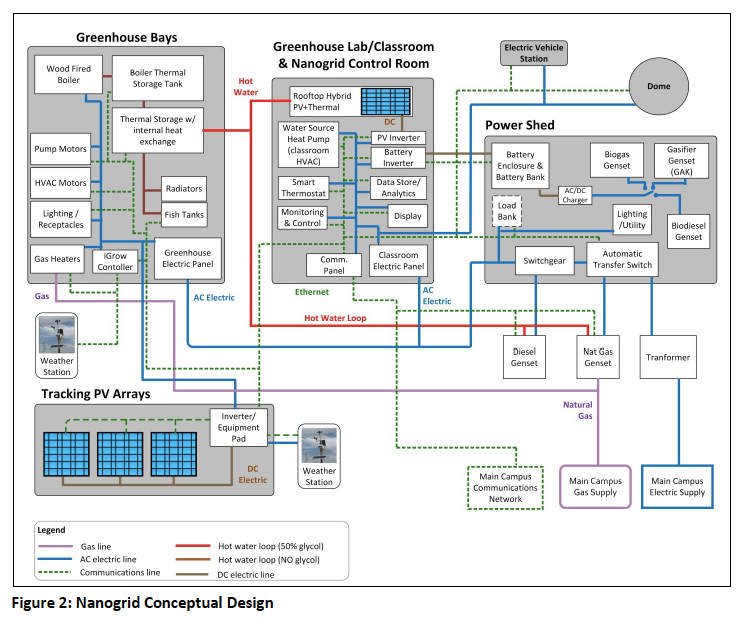 The Microgrid Training Center will incorporate building energy management techniques as a component of smart energy systems design, and develop these principles in a “nanogrid” serving SFCC’s new Greenhouse complex for advanced hydroponics and aquaponics. Based on a conceptual design by The National Renewable Energy Laboratory, Siemens’ engineers will develop and deploy a complete operating system including multiple generation sources, demand management, storage, thermal loops, islanding capability, and Siemens’s utility-grade Spectrum MGMS microgrid controller. Both the building energy lab and the Greenhouse nanogrid will be come nodes on the proposed campus-wide microgrid, which is currently in development. EDA’s mission is to lead the Federal economic development agenda by promoting innovation and competitiveness, preparing American regions for growth and success in the worldwide economy. EDA implements this mission by making strategic investments that encourage private sector collaboration and the creation of jobs. EDA investments are results driven, embracing the principles of technological innovation, entrepreneurship and regional development.